True to the Winos' rating system... a Good Rating means we would purchase the wine again in the future. 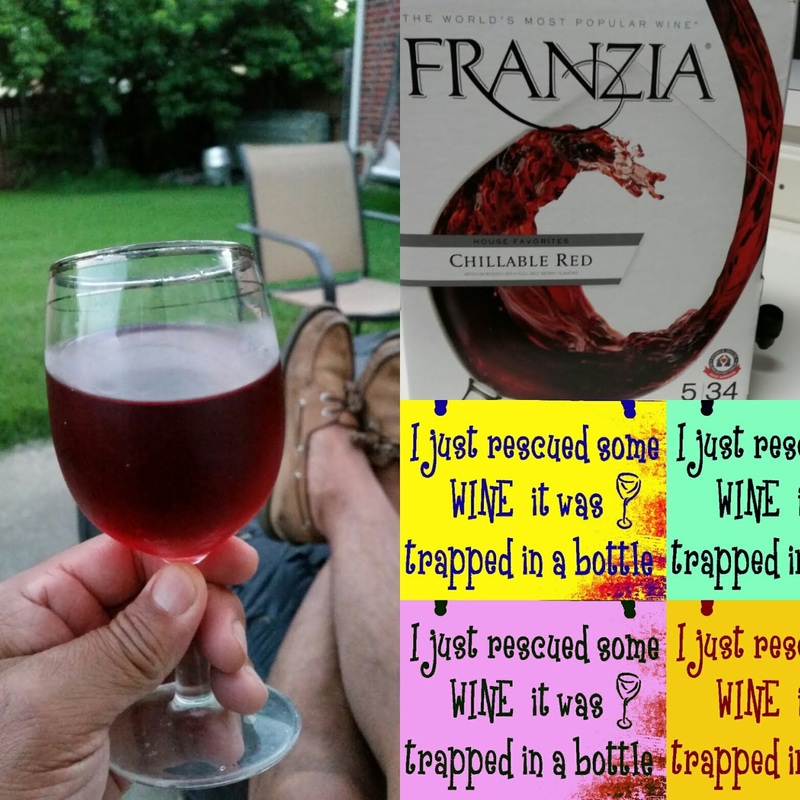 In this case, Franzia Chillable Red earned a Good Rating several times over the years. This time, it earns it again... plus was on sale $12.99 for the 5 liter box! Woohoo! Anamia's Tex Mex Restaurant (Plano and Coppell). At 12oz servings, these will sneak up on you. 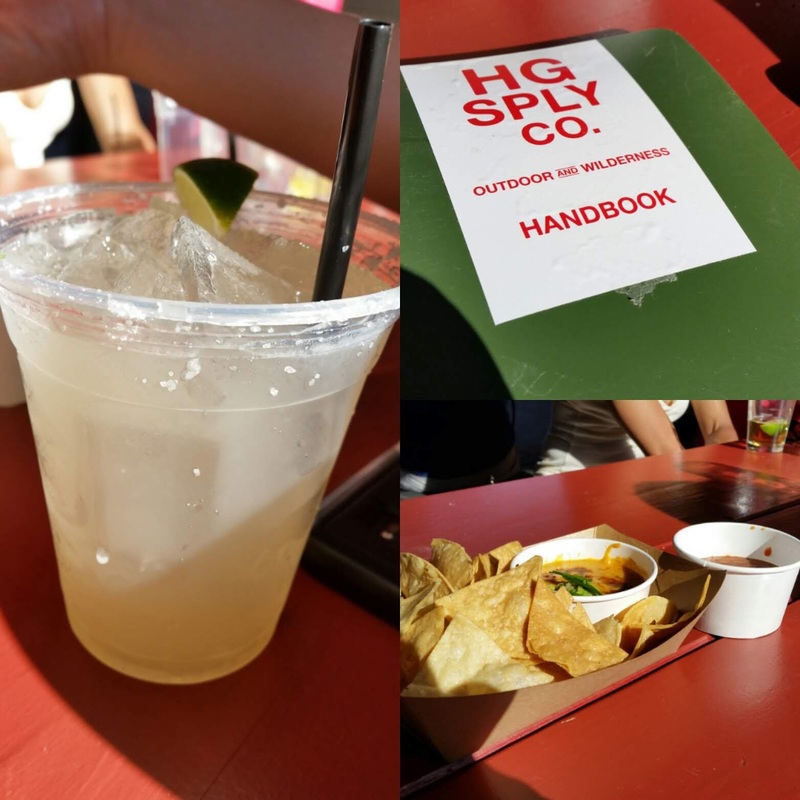 Either frozen or on the rocks, the taste had the right amount of lime tanginess to sugary (we hope agave sugary) sweetness. Plus it has little to no alcohol taste... but two drinks later, better call an Uber or have a designated driver at the helm! Primo's Tex Mex Grille (Garland). In the 16oz size, these are almost a doppelganger to Anamia's margaritas... save for the extra 4oz else they would have tied for first! 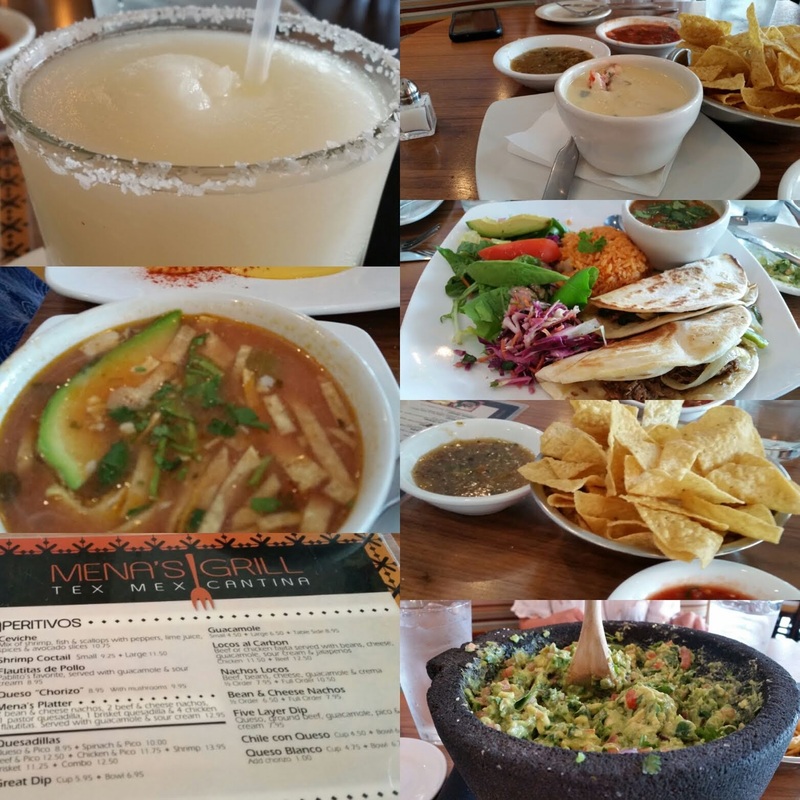 Mena's Cantina - Tex Mex Grill (Coppell). 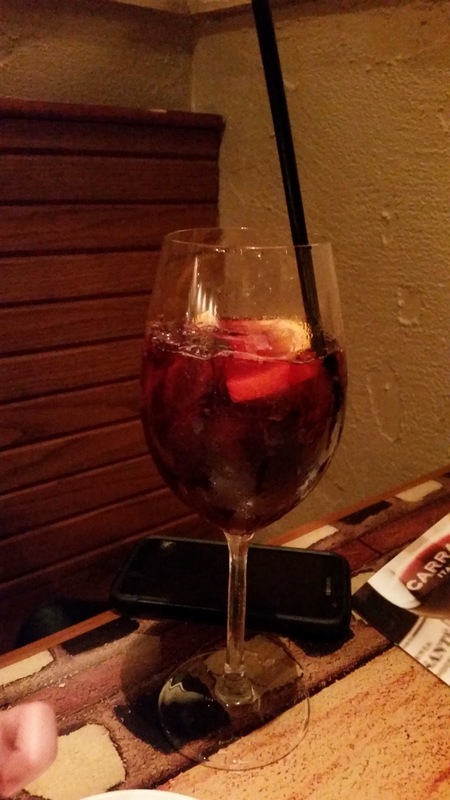 16oz with great taste that the Winos like in a margarita. Just not as "fortified" as Anamia's or Primo's offerings. So, it made third on the list! Village Burger Bar (Allen, Plano, Dallas). 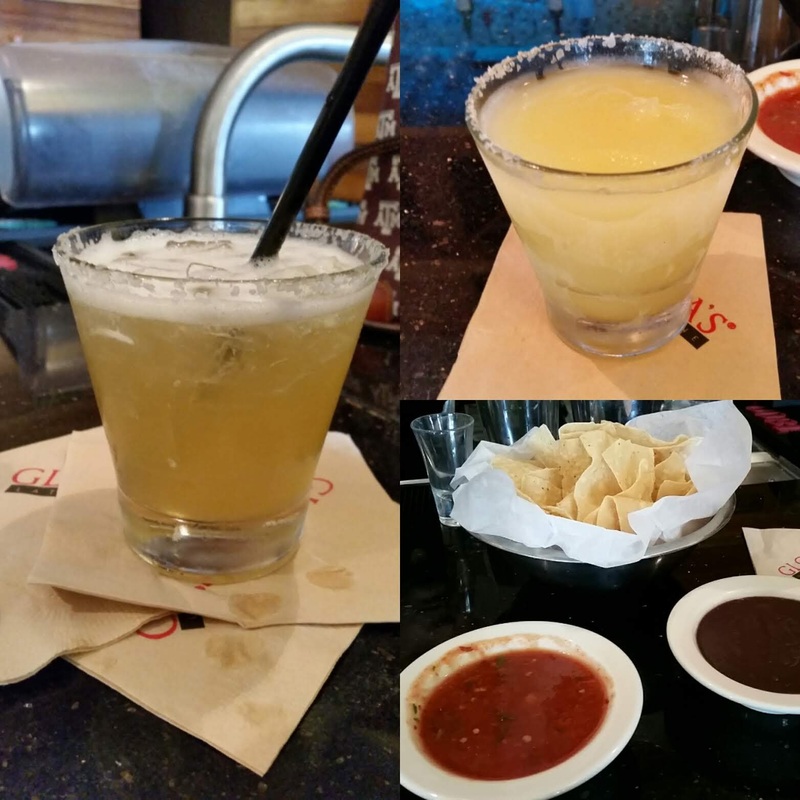 These 12oz margaritas come in various flavors like Mangorita and Chamborita. 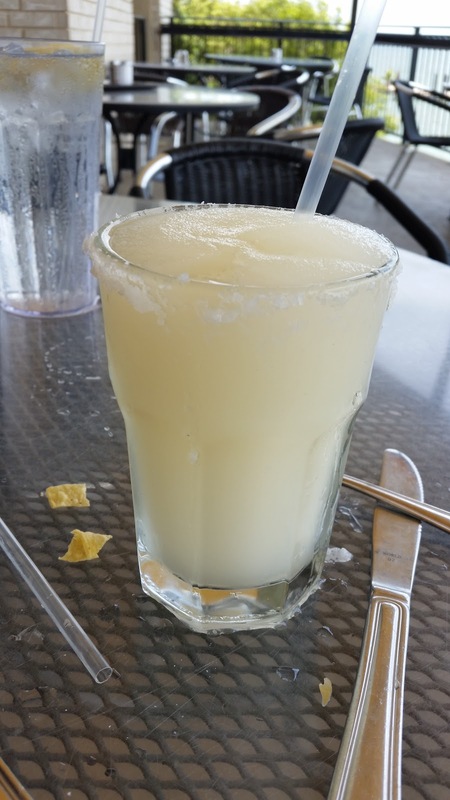 That said, the traditional margarita is a tasty offering that we like for two reasons.., for a small package, it carries a punch... limit two, else it's Uber time. And, Happy Hour price of $4.00 is light on the wallet! Very nice! 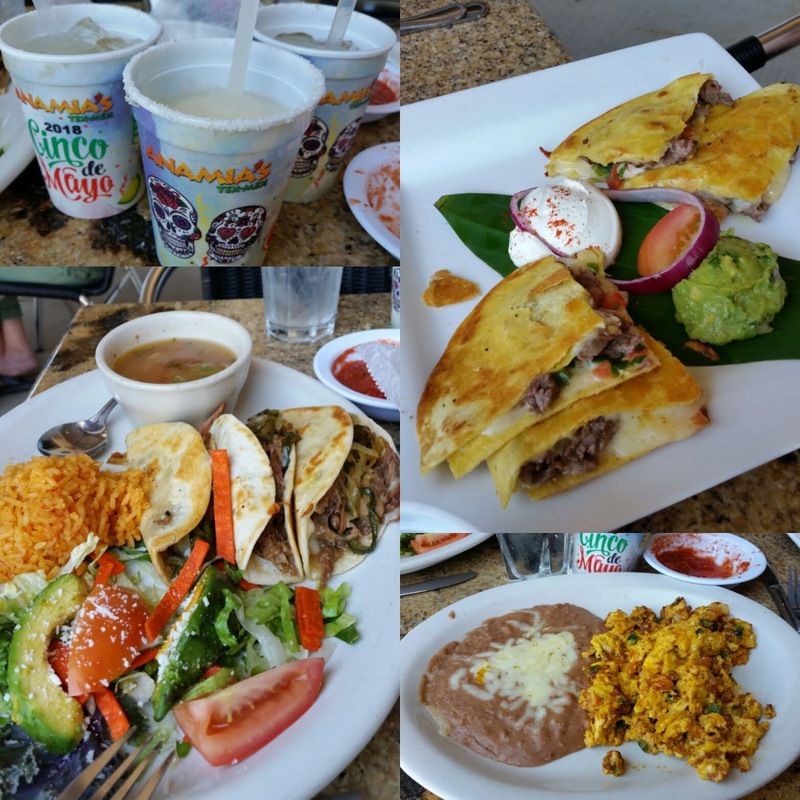 Gloria's Latin Cuisine Restaurant (Fairview, Garland, Dallas). 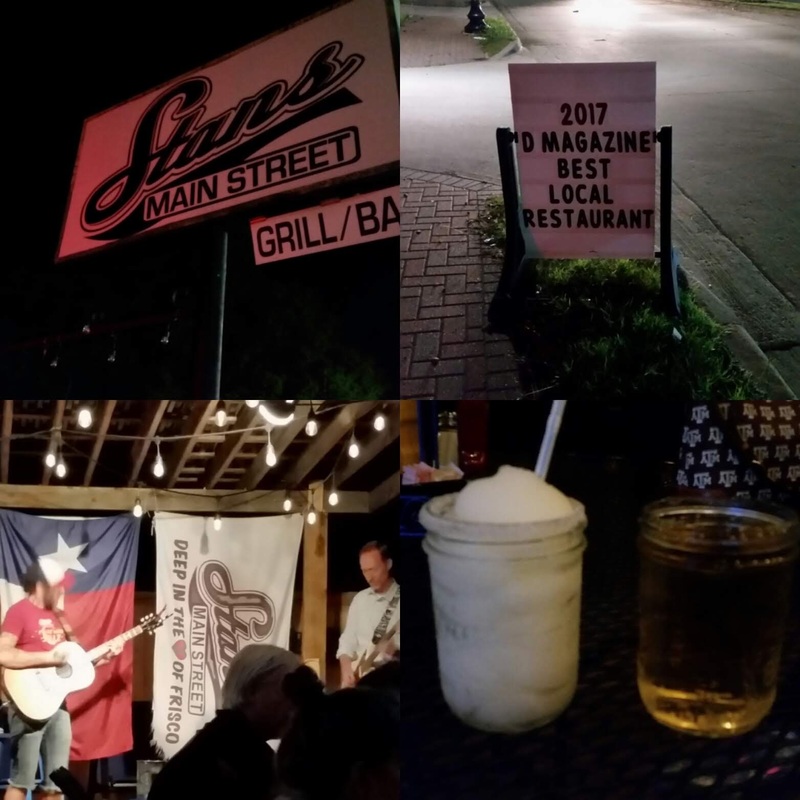 Frozen or on the rocks, Gloria's has a tasty margarita that is strong in alcohol content. That said, it used to be our number one but has since dropped... main reason is something changed about three or four years ago. Possibly the mix that was used. Luckily, it's one reason why we started this quest! That said, we list Gloria's at Number 5 because their Mangorita is still a tasty offering. Intentions were to disregard the local ratings on the Best Tasting Margarita in the area, and using our limited funds, go on a quest for our own best tasting margarita selection. In other words, could we each have a Margarita for less than $20 including tip. Strength... after the second Margarita, do we need an Uber to drive us home? There should not be an aftertaste... this is a deal breaker that has shot down Margaritas in the past that were otherwise good. 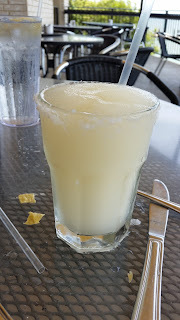 Two Margaritas per Wino must be consumed in an hour or less; one Margarita was considered 16oz or less. 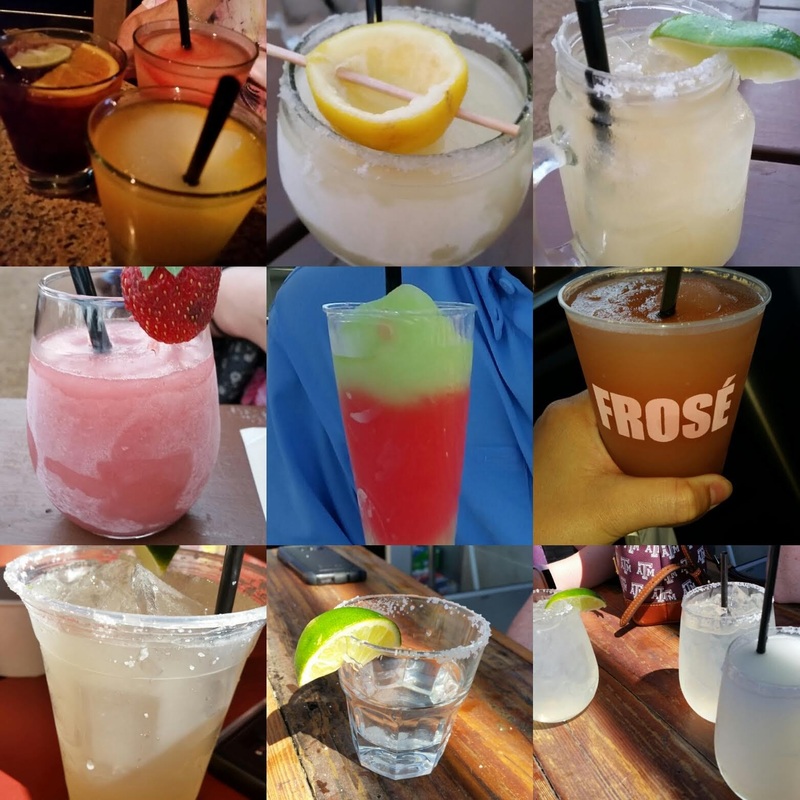 No "large fishbowl" Margaritas if they exceeded 32oz, else one 32oz Margarita was considered two Margaritas. Primo's Tex Mex Grille while on an errand! Mena's Cantina plus lots of food! 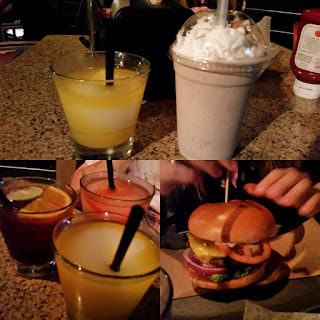 Village Burger Bar plus a burger and shake! Gloria's Latin Cuisine plus Chips and Salsa! 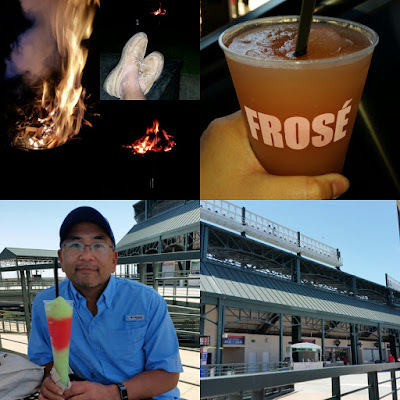 Who would have thought a tasty Frose to be had while watch Major League Baseball! Lucked into this while the Texas Rangers played the Boston Red Sox. 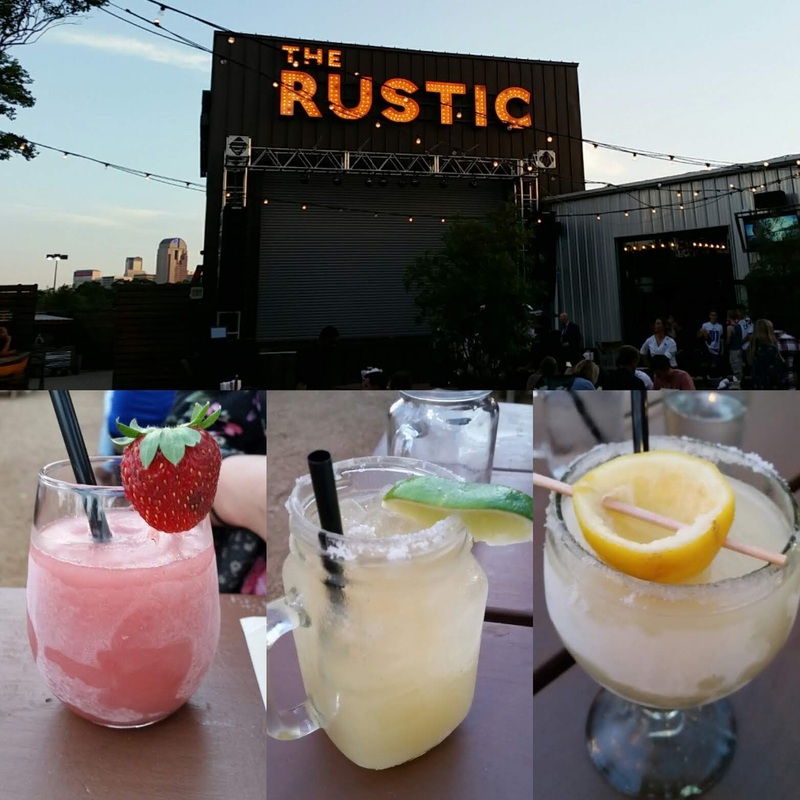 Although the Rangers lost, we considered it a win knowing these tasty Frose awaits us next time! Also, their swirl Margaritas are perfect for quenching the Red Wine Wino's thirst... great time, even closed out the day with a bonfire! Was on an errand to the Bass Pro Shops in Garland. 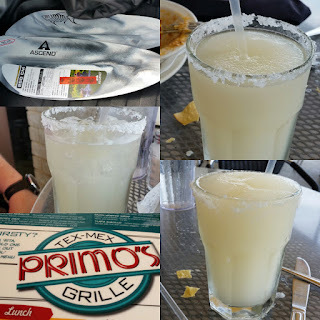 Noticed a Tex Mex Restaurant that caught our eye - Primo's Tex Mex Grille. Sat outside overlooking the lake and had a Margarita or two. 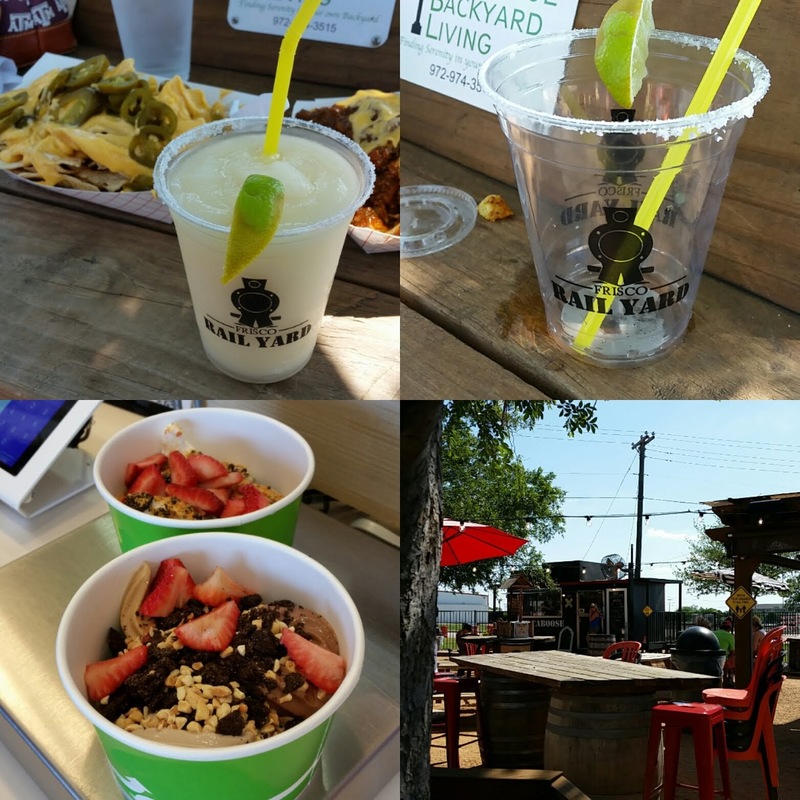 This one is the our second choice for the "Winos' Best Tasting Margaritas"! 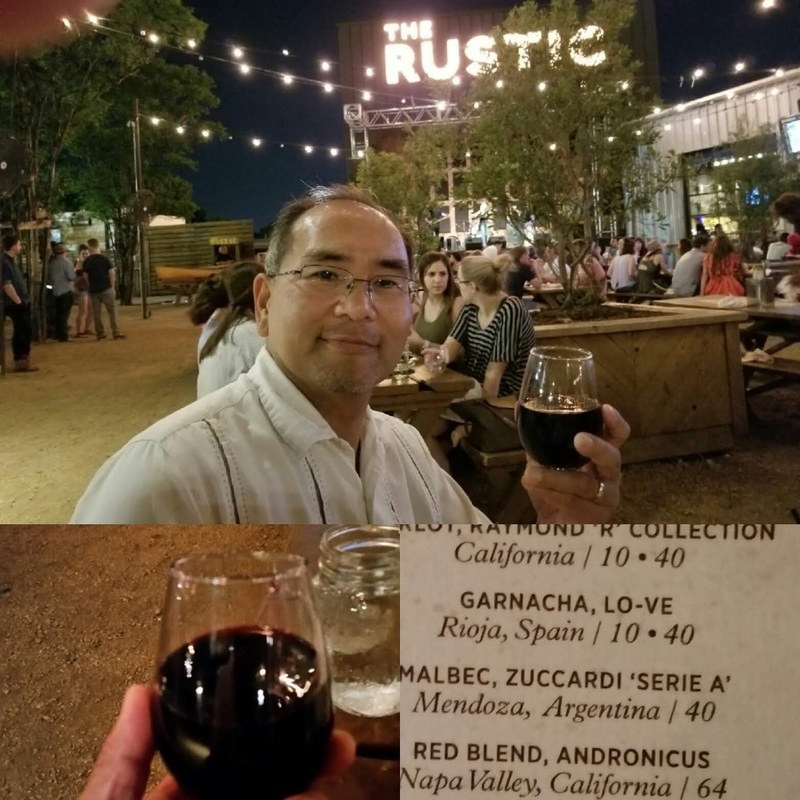 At the Rustic (Dallas, TX), the other night having a Garnacha Lo-Ve while listening to live music! Fun times with tasty wine to be had! This one gets a Good Rating from the two Winos! 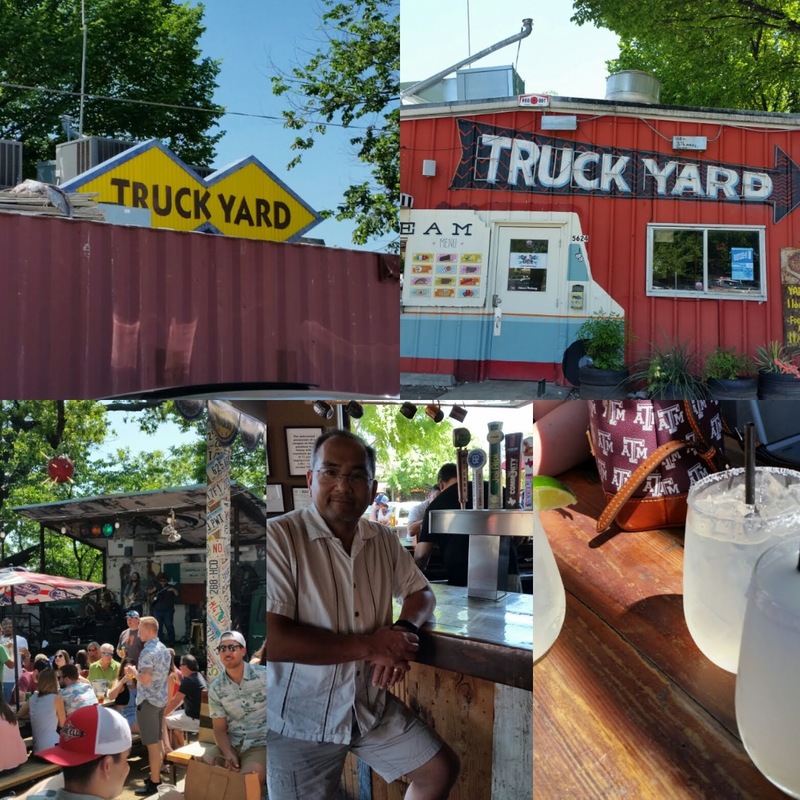 In celebration of Cinco De Mayo, the Winos opted for working up to May 5 with "Margarita Tastings" in various locations in the DFW Metroplex as well as more "Margarita Tastings" on May 5, and then of course carryover "Margarita Tastings" after May 5. Below is a sampling of the Winos' Margarita Tastings. 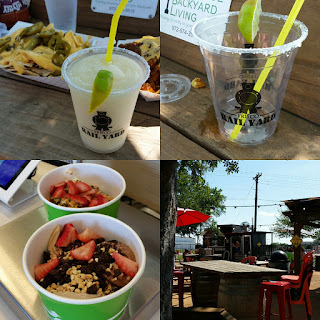 It includes other drinks as well but those were consumed after the tasting was completed for a given location. Do check back periodically as we continue on our quest! PS: Primo's Tex Mex Grille in Garland near Bass Pro Shops is our second choice! 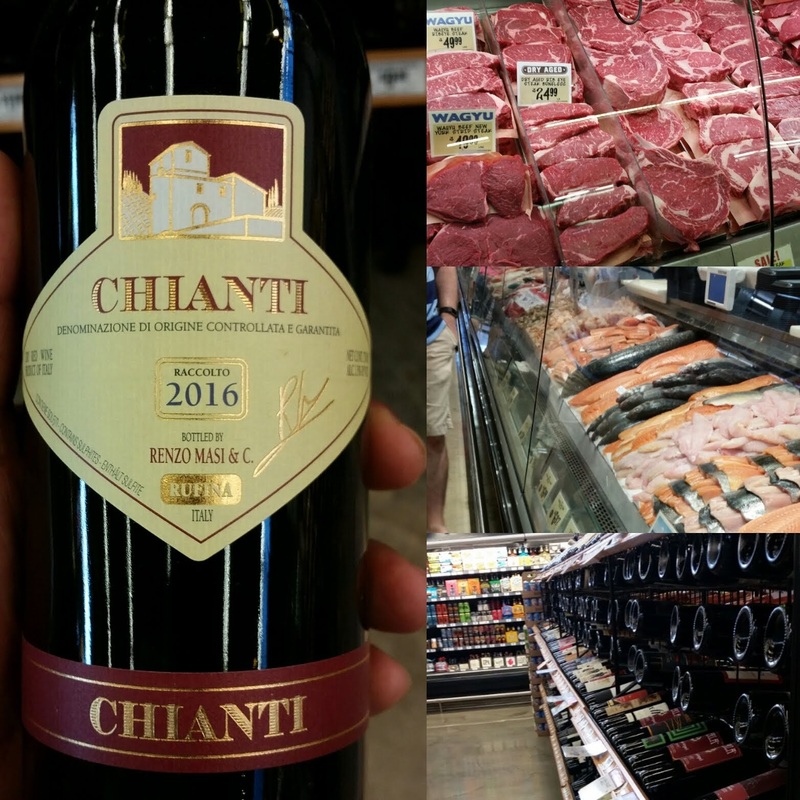 While shopping at Central Market, Plano, TX, picked up dinner as well as a bottle of Chianti. This one came in at an affordable $7.99. Red Wine Wino is always looking for a deal as well as has a weakness for Chiantis in general... spent some time in Italy and got hooked on them, jumped at purchasing Renso Masi & C Chianti. 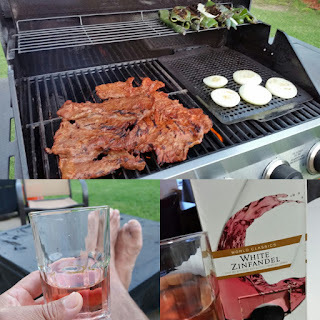 End result... went well with dinner Rib Eye Steaks, Shrimp, and Lobster! Both Winos agreed to purchase again, earning a Good Rating! Out and about in Lower Greenville, Dallas. 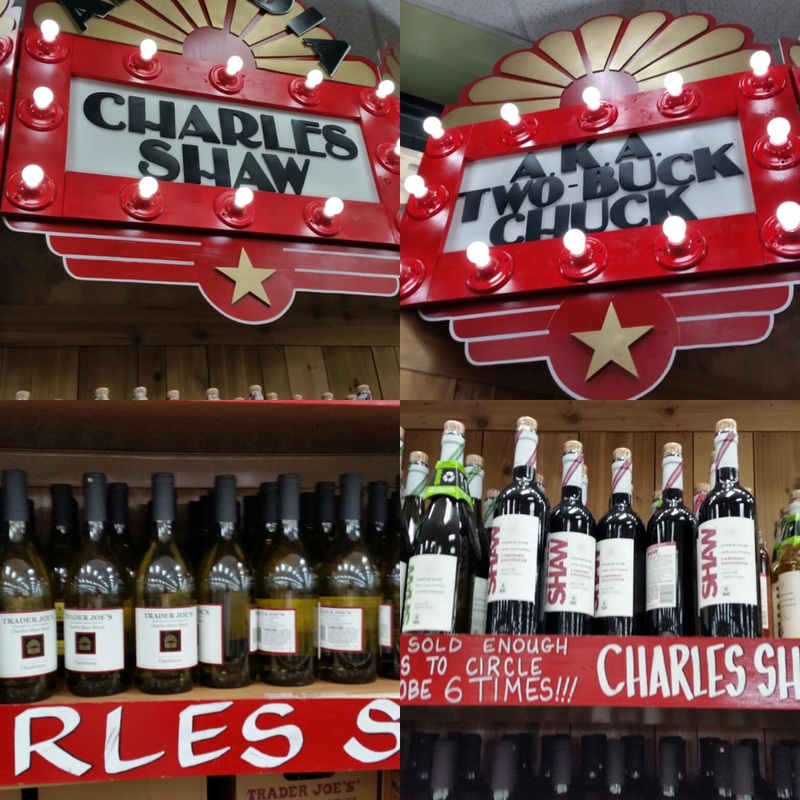 Stopped at Trader Joe's for some Two Buck Chuck Wine! Wine selection has always been good as well as their Two Buck Chuck Wines. Not found a wine from Charles Shaw ("Two Buck Chuck") that the Winos have not liked. 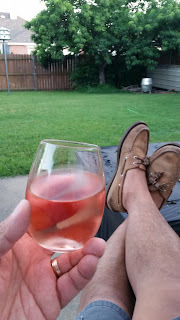 More Good Ratings for Trader Joe's Two Buck Chuck Wine! While shopping... more like browsing World Market in Garland, TX, "stumbled accidentally" into the wine section. Lots of wines to chose from. Of interest to the Winos was the Castello Del Poggio Moscato. 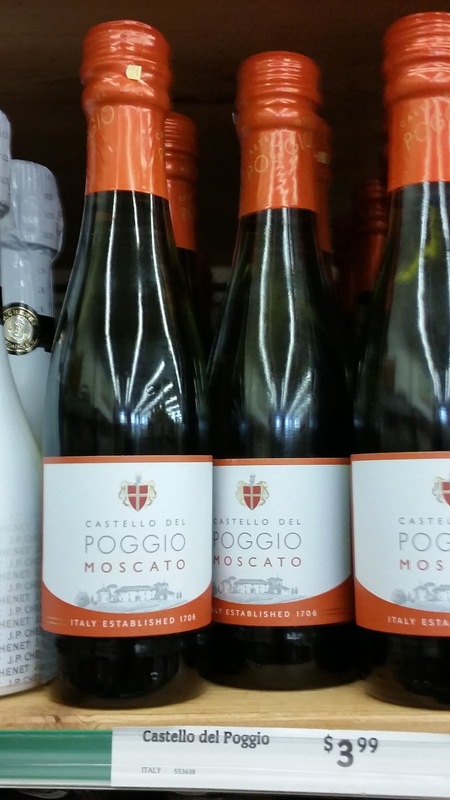 We first tried this Moscato while having dinner at the Olive Garden. Initally, we only could find it at the Restaurant. 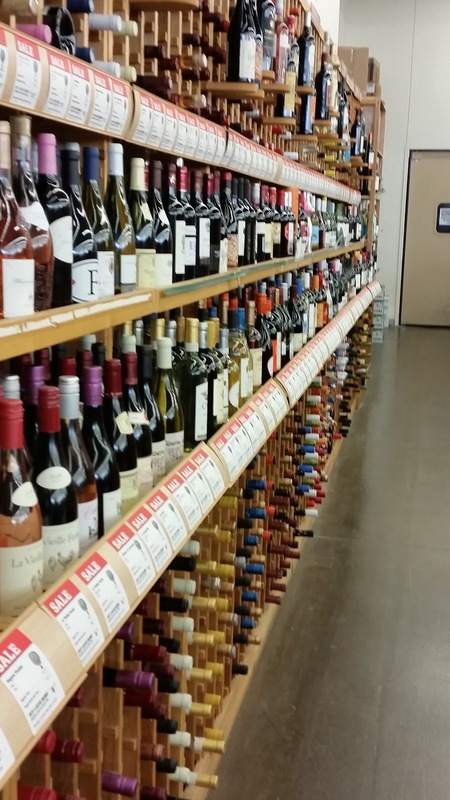 Since then we have seen it offered at Walmart Super Stores, Total Wine, and now World Market! Keeping this one in mind, next time we want a tasty Moscato! 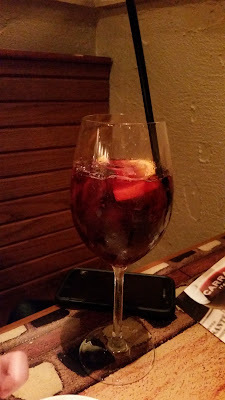 Carrabba's Sangria for a pre-dinner wine. Tasty and perfect for the start of a late Dinner outing. Winos agree on this one... earning a Good Rating! Franzia White Zinfandel has been a favorite in the past for the Winos. It continues to remain high on the list of Good Wines - wines that we would purchase again in the future where both Winos agree to do so. This latest purchase came in a smaller box that equated to two bottles of wines. 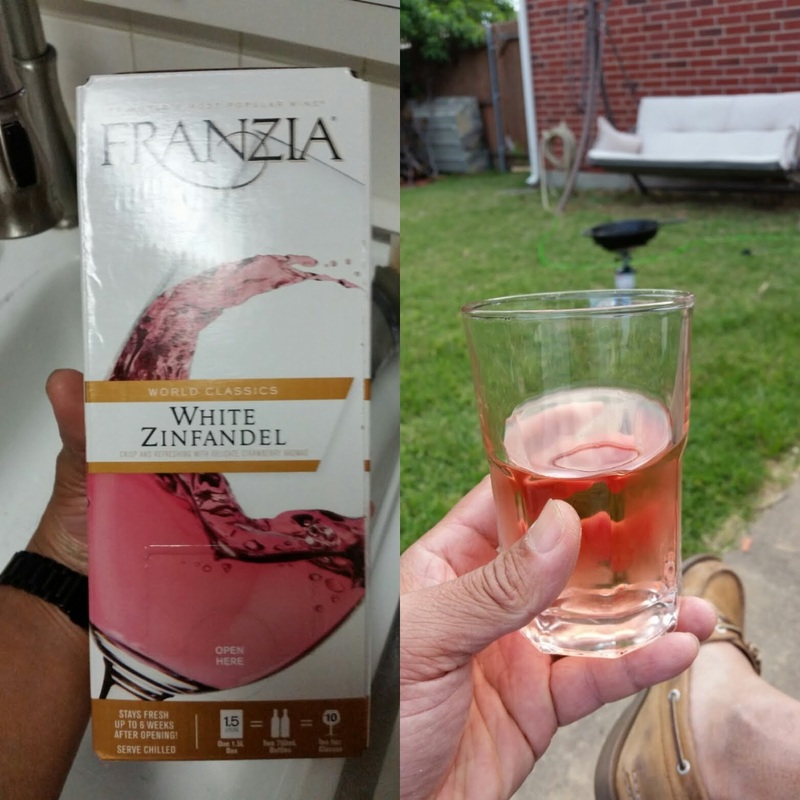 From the pictures below, one can see the box and the Red Wino's feet propped up doing nothing but watching the grass grow! And then, later grillin and chillin with a glass.